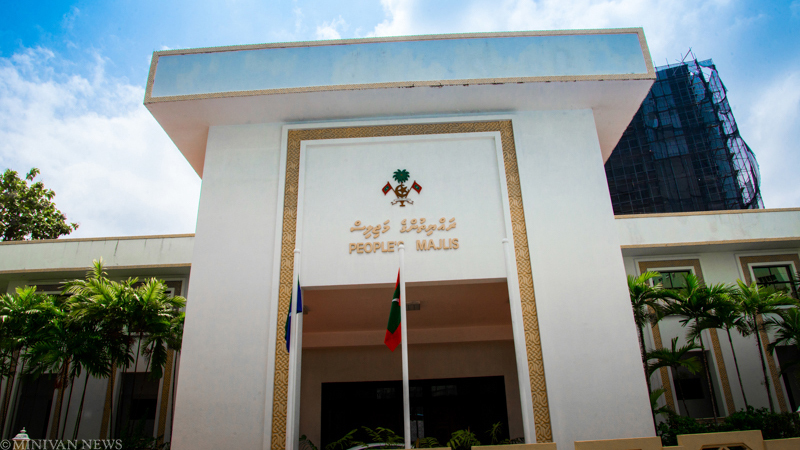 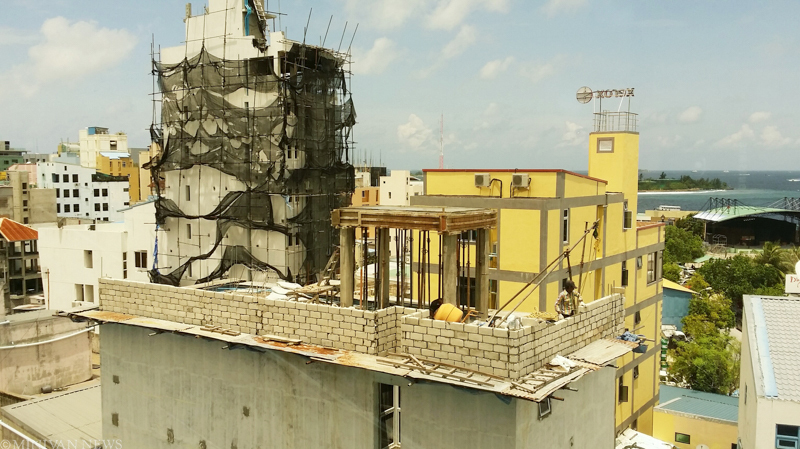 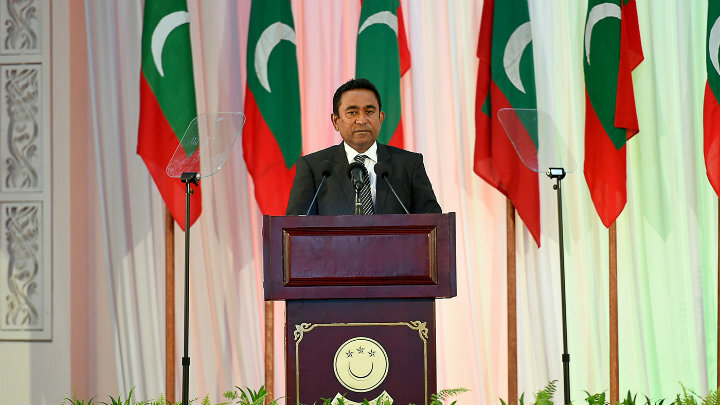 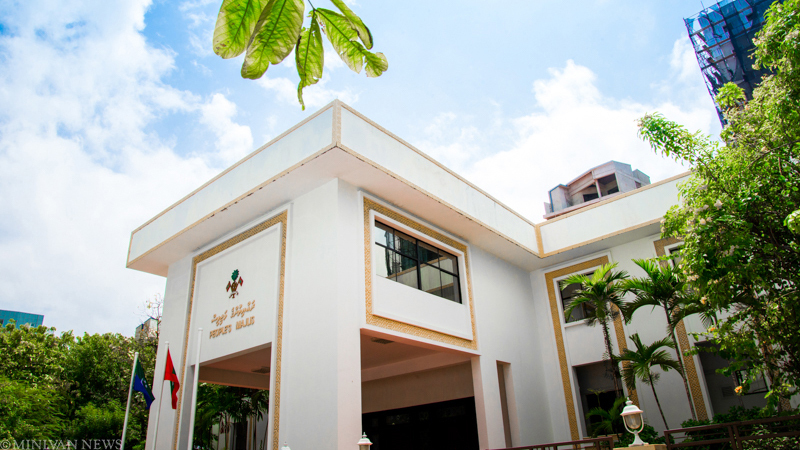 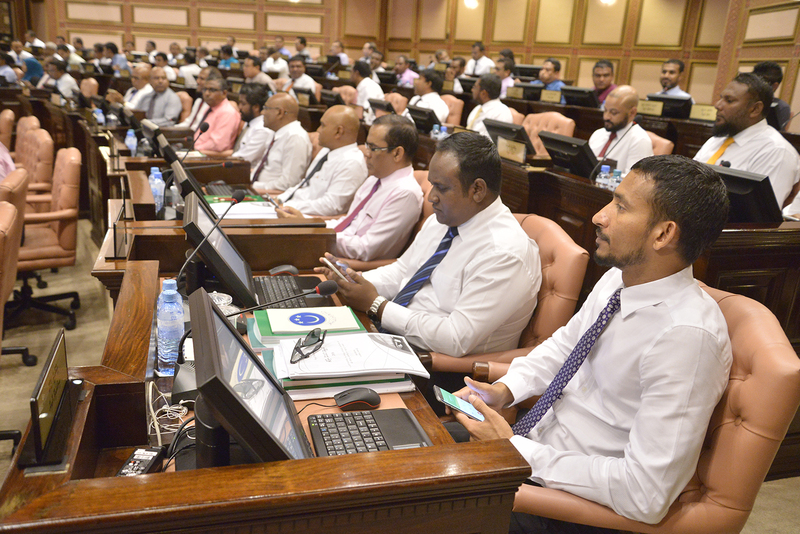 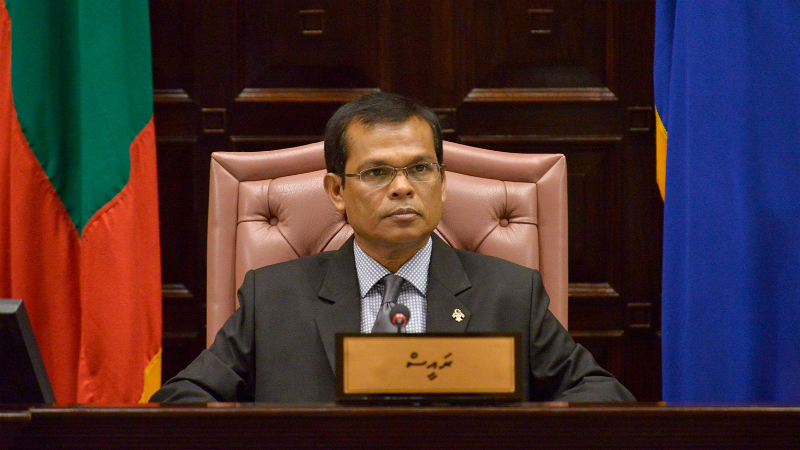 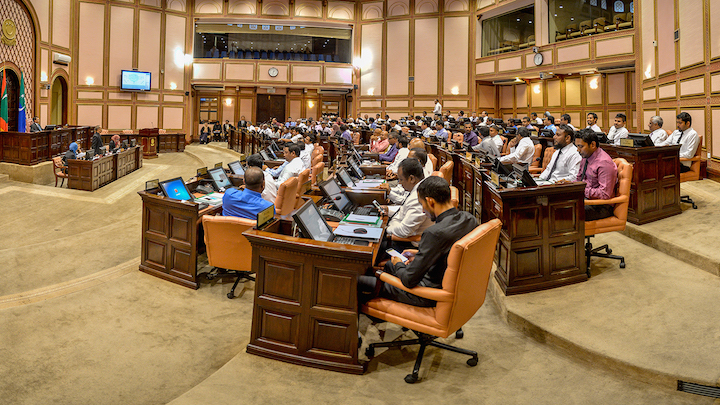 All posts tagged "people’s majlis"
With no bills to debate on the agenda, Speaker Abdulla Maseeh Mohamed adjourned proceedings after announcing nominees sent by President Abdulla Yameen for parliamentary approval. 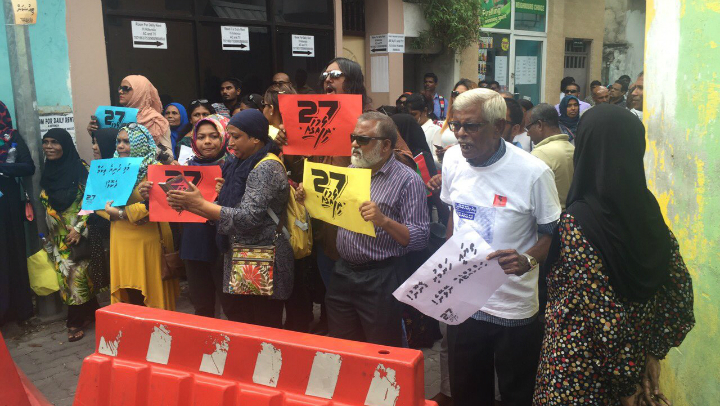 Some 47 MPs approved today a bill that imposes severe restrictions on free speech and press freedom. 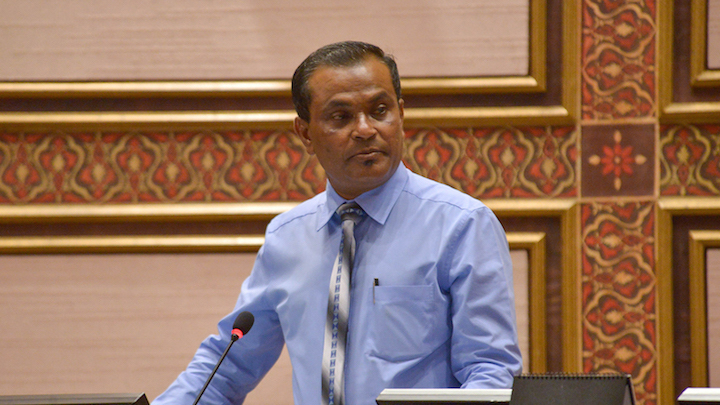 Opposition MPs have withdrawn a no-confidence motion submitted against Speaker Abdulla Maseeh Mohamed, two days before the motion was up for debate at the People’s Majlis. 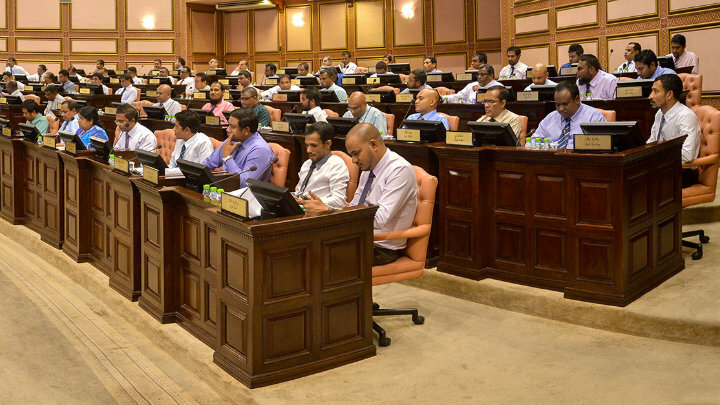 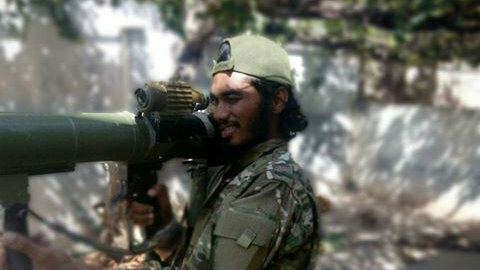 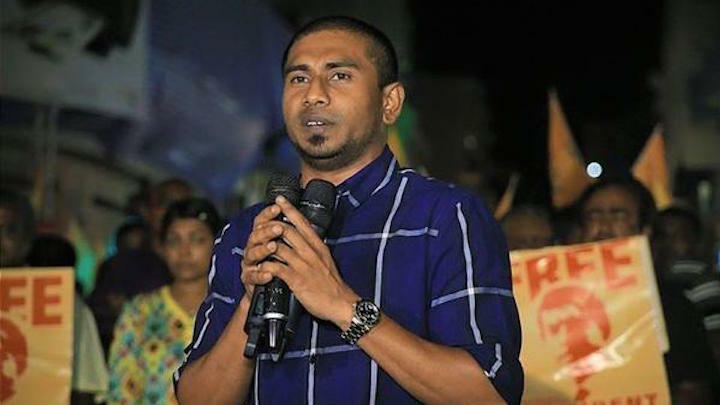 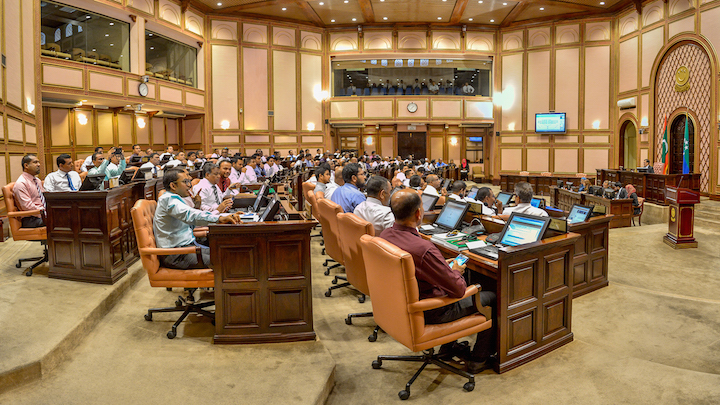 The People’s Majlis will reconvene tomorrow after a week-long pause with ruling party MPs set to propose amendments to the new anti-terror law.